So my wife & I have been on a date kick lately. Not the kind of dates you go on, but the kind you eat. Since we’ve been going really green the past 3 months and now have a strong interest in self-sustainability, we’ve been trying to sprout and grow just about every seed we can get our hands on. We have a particular interest in growing seeds that came from food that we’ve eaten. There’s just something about growing & eating your own food which came from food that you ate… something about taking it full-circle that really feels empowering & let’s us know we can grow our own food without depending on others. Anyway, after discovering “fresh” dates (not dried & pitted), I thought the date pits (aka “date seeds”, “date stones”, whatever) looked interesting and wondering if it was possible to sprout them. Here’s the article I found on how to germinate a date seed: http://www.personal.u-net.com/~treetops/dateseed.html. The small white knobs sticking out of the middle of the pits are the sprouts. 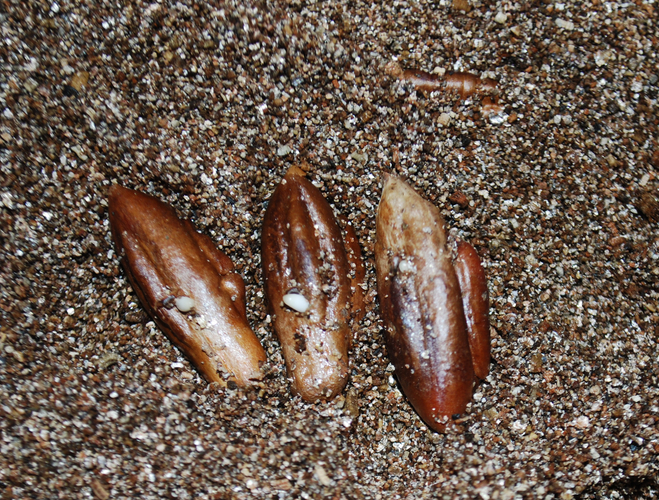 We’re going to leave them in the vermiculite for a few more days & then pot them. Meanwhile, we’ll be soaking another batch of date palm seeds for the next round. We just got back from a weekend trip from Oklahoma and checked them, so the fact that these were sprouted came as a bit of a surprise to us. We started soaking the pits on 24th August of this year (2011) and let them soak for 24 hours. 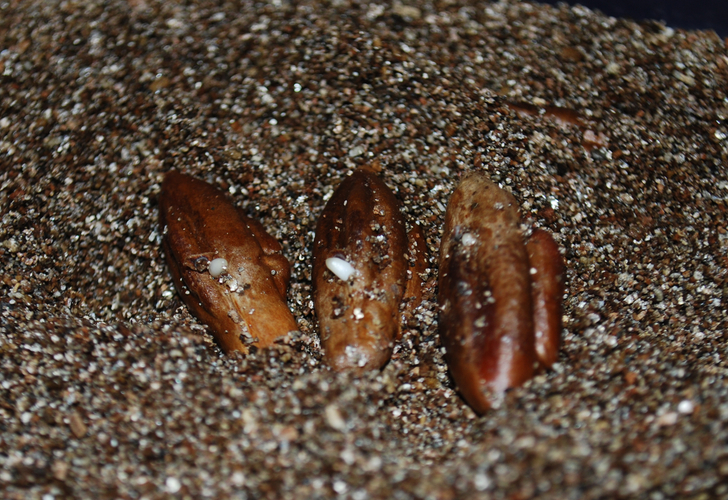 Then we started them in the vermiculite and 12 days later (6th September) these were sprouted.